Hayley Bartholomew, an International Tourism Management graduate (2012) from the University of Central Lancashire (UCLan), currently the Change and Development Executive for In-flight Customer Experience at British Airways came to meet with our students as a guest lecturer earlier this month to talk about her career success since graduation and also the importance of managing service quality within such a competitive industry. 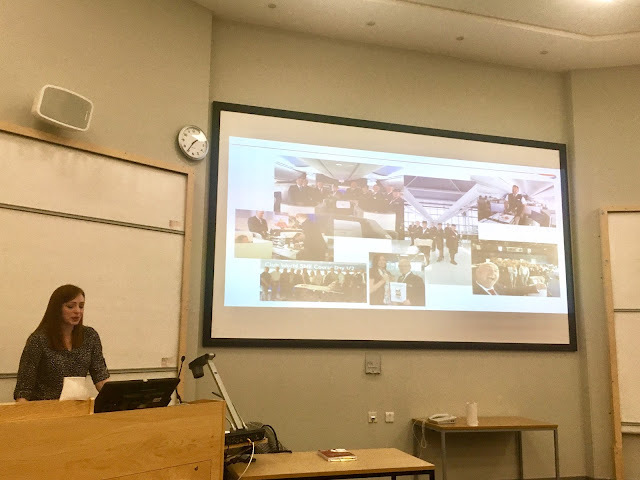 Dr. Carley Sutton, Course Leader for International Tourism Management and researcher in service quality management, expressed the importance of meeting with industry professionals and it is especially great for the students to hear from UCLan Alumni such as Hayley. Hayley - who spent 12 months working at Walt Disney World, Orlando for her placement year - took the plunge and moved to London after securing a role as cabin crew with British Airways. Following a year flying she secured a place on the 18-month Business Experience Programme at British Airways where she was placed in the Product and Service department. Hayley managed to secure a permanent role after her extensive Business Programme and expressed that it was down to hard work and determination. The job really threw Hayley into the deep end, giving her the chance to work on projects such as the launch of the B787-9 aircraft into service and developing the recruitment strategy for Mixed Fleet Cabin Crew. More recently, Hayley advised that she has been working on the investment in British Airways business class cabin 'Club World'. As part of the Club World product and service development, Hayley advised they worked closely with catering company Do & Co and high end retailer The White Company. Hayley's role within the project was to ensure the new service could be delivered on a number of different long-haul aircraft and to support development of the two day cabin crew training course. 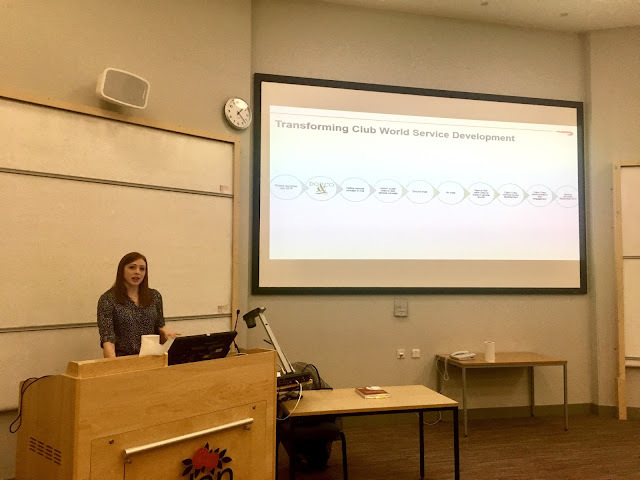 In addition to this, she worked on developing an intranet page to support cabin crew, producing service videos, standards booklets and multiple service reference documents to ensure the service embedded consistently. Hayley stated there was a commitment to constantly review the service and innovate in line with customer demand. 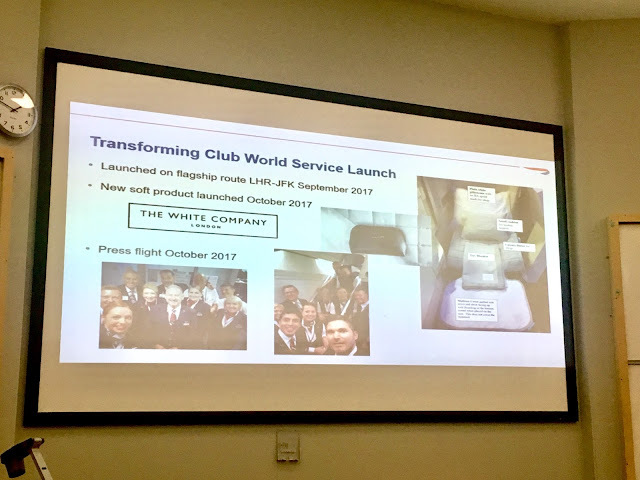 The students listened intently and were eager to find out what sets British Airways a part from their competition, and how Hayley helped shape service aboard Club World. The students, in a group exercise, were tasked to share how they would manage colleague engagement with a remote based employee network, and determine how they would maintain quality service standards with a wide variety of obstacles in their way. 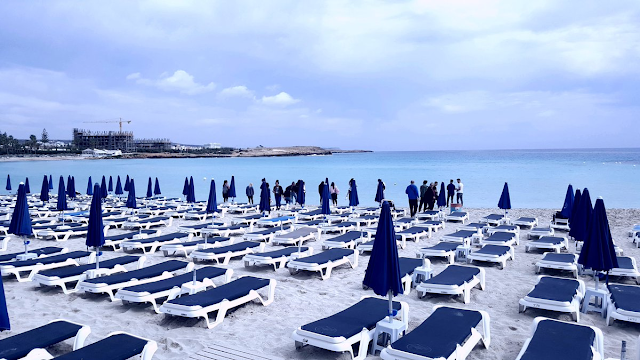 This is an account of our visit to the beautiful Mediterranean island of Cyprus. In early March the BA (Hons) International Tourism Management and BA (Hons) International Hospitality Management first year students from the University of Central Lancashire visited this multi-faceted country which is looking to further diversify its visitor economy; traditionally Cyprus has offered sun, sea and sand holidays but it appears to be moving away from that model – making a fascinating case-study. In addition, UCLan has close ties with the island; through UCLan Cyprus, we are one of the few UK universities to have a campus in the EU. 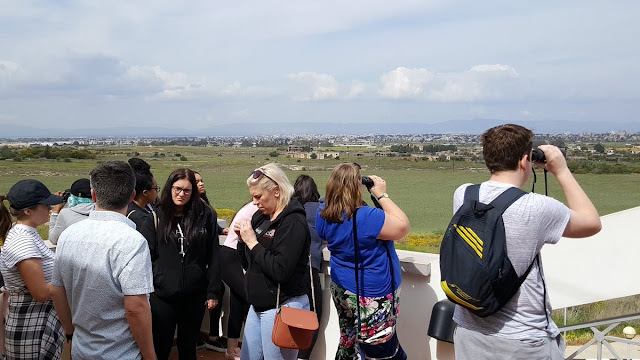 Here is an overview of the 2018 fieldtrip written by Dr David Jarratt who led it. We left Preston by coach in the morning and flew from Liverpool to Larnaca, Cyprus. 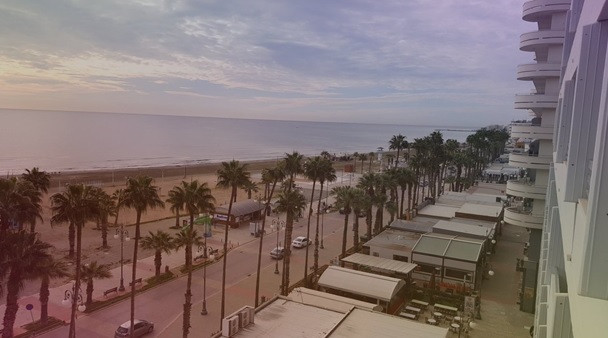 Our apartment hotel was located right on the front in Larnaca, a stone's throw from the sea. We arrived in the evening, but there was enough time to settle in and for the students to enjoy Cypriot hospitality and the variety of restaurants that are open all year round in Larnaca; most students explored the local cuisine throughout the week. As with every morning, we all met at a local restaurant for a full breakfast. 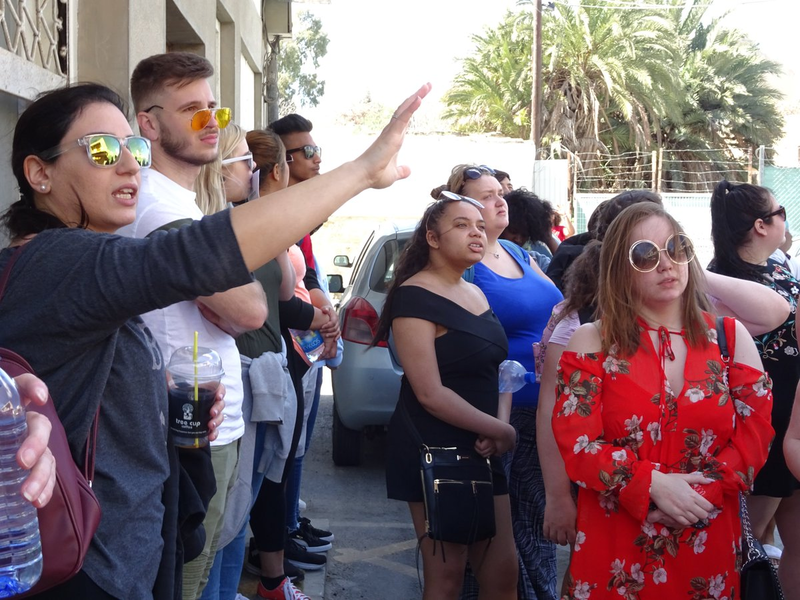 Then we left for the UCLan Cyprus Campus where the Tourism and Hospitality students met us, guided us around the Campus, gave a presentation about the island and then offered us a light lunch. 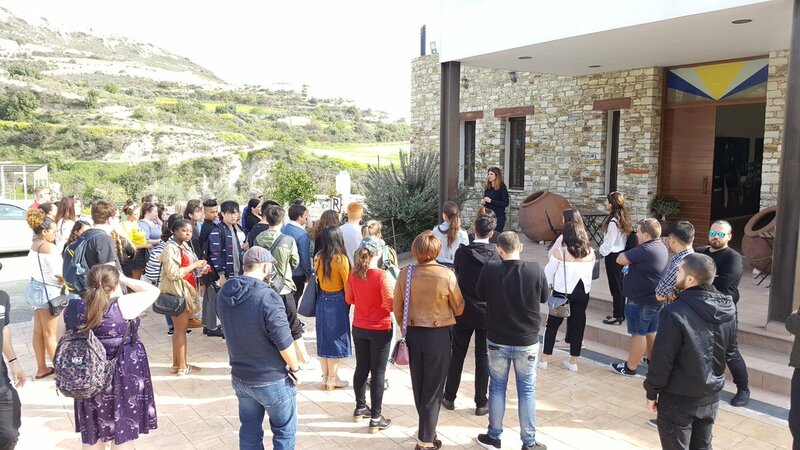 We also met our UCLan UK students who have chosen to spend their second year studying at our Cyprus Campus – an option for our International Tourism Management and International Hospitality Management students. We spent this day in the Limassol area. 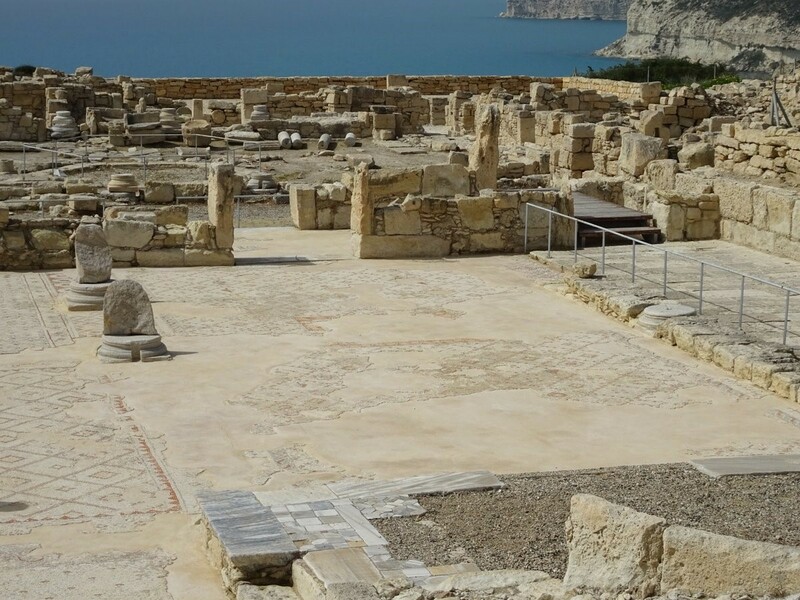 We started by visiting the impressive ancient ruins of Kourion which overlook the sea. The highlights included the large forum and the (partially reconstructed) amphitheatre. Some parts of the site dated back to Ancient Greece and the Romans. Here I referred to interpretation with the students and Phil Stone discussed blended authenticity. We then moved on to another site of Heritage Tourism – Kolossi Castle, home to the order of Knights of St John. Later we also briefly visited the remains of a Neolithic settlement Choirokoi – UNESCO world heritage site. These heritage case studies allowed students to compare differences in interpretation and to consider the diverse markets that Cyprus can attract. 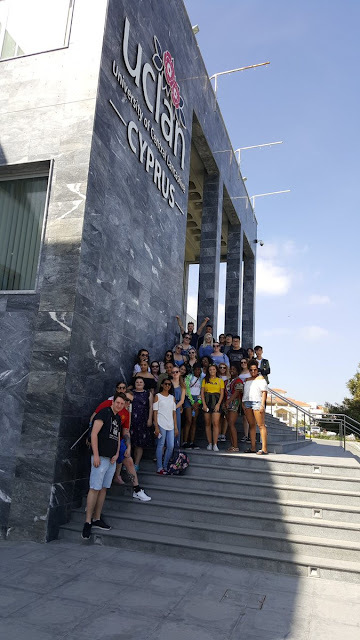 We also visited the city Limassol that offered the interesting comparison of the new marina, full of luxury flats and yachts, with backstreets of the old town. We discussed the role of tourism in the development of the city and the potential of its famous Carnival in terms of the visitor economy and place branding. Surprisingly perhaps, the buffer zone has become a tourist attraction, as a site of difficult heritage. 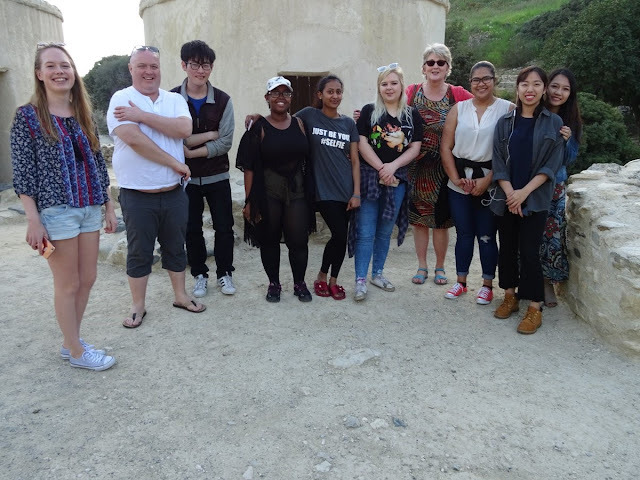 We were lucky enough to be guided by an expert in this area – Katerina Antoniou of UCLan Cyprus. She introduced us to charities working for peace in the buffer zone itself and offered a unique insight into the history, culture and issues facing this divided city. 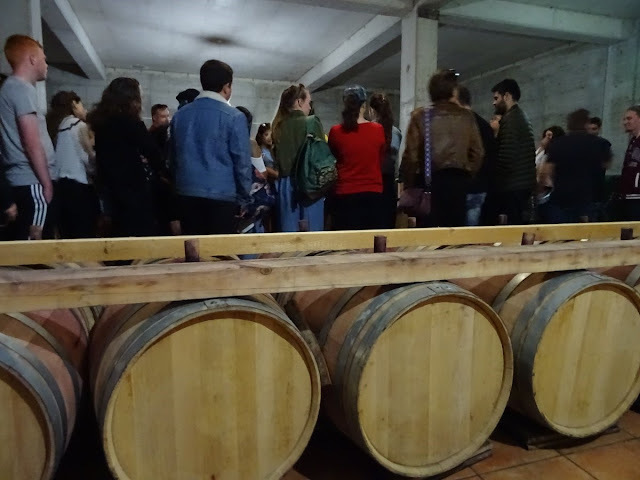 This day visit makes a fascinating case study of how the macro environment creates challenges and offers opportunities for the tourism industry. We flew back at night and arrived back in Preston around 1pm Sunday morning. 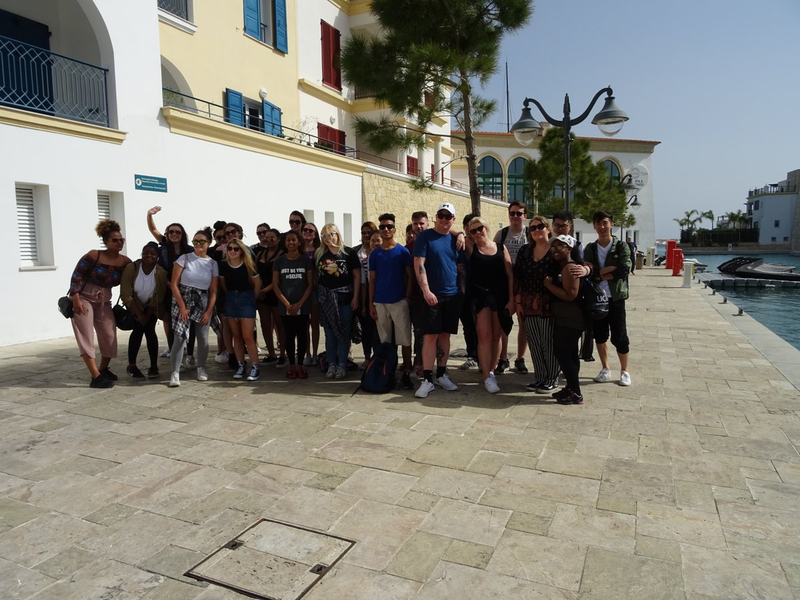 The trip not only achieved its educational objectives, clearly engaging the students and offering real world learning, but also brought everyone together. We'd do it again in a heartbeat!! 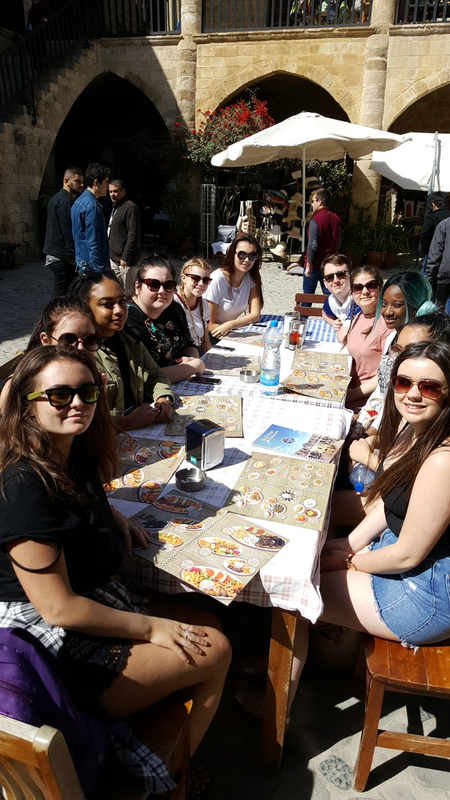 In 2017/18 our Tourism, Hospitality and Event Management students enjoyed residential visits to Cambodia, China, Iceland and Scotland as well as a variety of day trips. Usually financially supported by UCLan, leaving a reduced charge for the student and offering excellent value for money and great educational experiences. Hi everyone �� and welcome to the UCLan Tourism Management blog. We use this blog to keep you up to date on our first, second, placement and final year students. 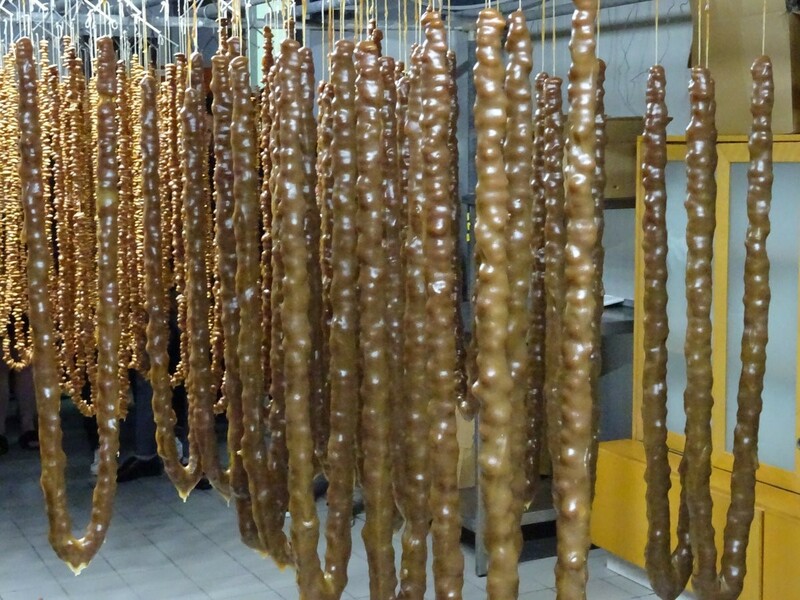 Through this blog we showcase all the amazing work our students participate in. UCLan International Tourism Management 2013-16. All rights reserved.. Simple theme. Powered by Blogger.